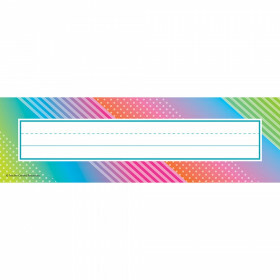 Use as labels, seating locations, storage boxes, door decorations, even tree ornaments. Perfect for pre-readers. Printed on heavy coated board stock. Peel & Stick backing. 4 ½ x 4 ¼. 32 ct. Made in U.S.A.
See all of the Top Notch Teacher Products products we carry in our educational supplies manufacturer section. Looking for something similar? 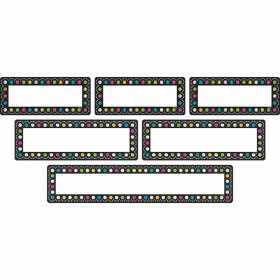 View our Name Plates or Discount Teacher Supplies sections to find more school supplies items similar to Assorted Polka Dot Picture Plates. This item may also be listed in our classroom supplies store catalog with item IDs TNT1955,TNTTOP1955.